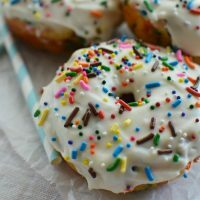 Funfetti Baked Donuts are a fun and delicious treat! 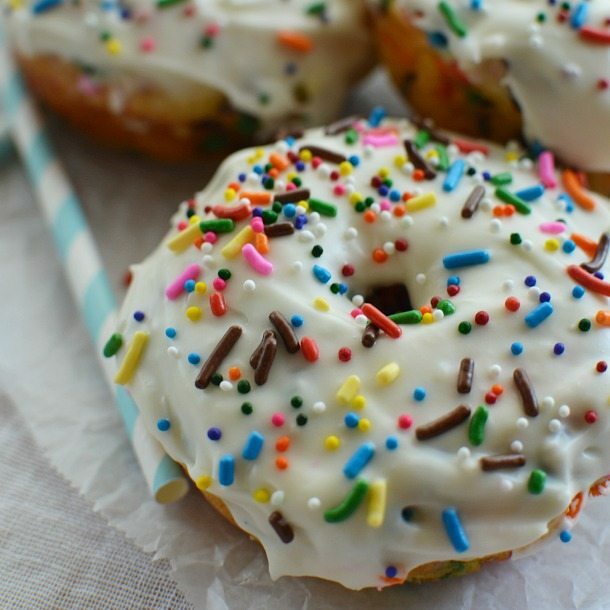 Homemade donuts topped with glaze and lots of SPRINKLES! Perfect with a glass of International Delight Iced Coffee. 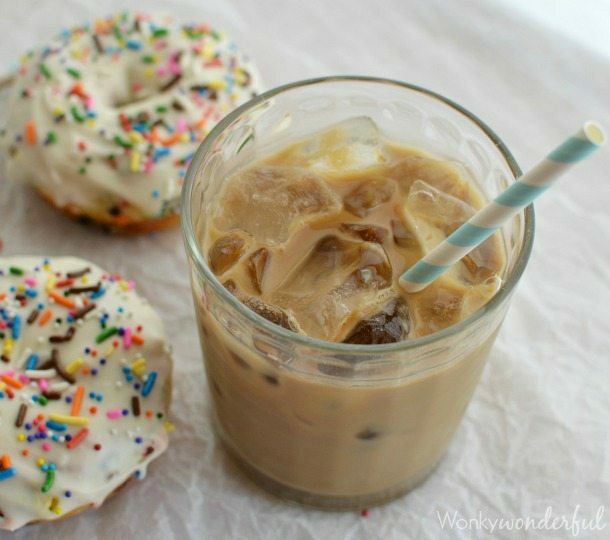 You can never have enough COFFEE or SPRINKLES. That is how I like to live my life! So, these Funfetti Baked Donuts and International Delight Iced Coffee are helping me with my life plan. Pour yourself a glass and grab a donut! 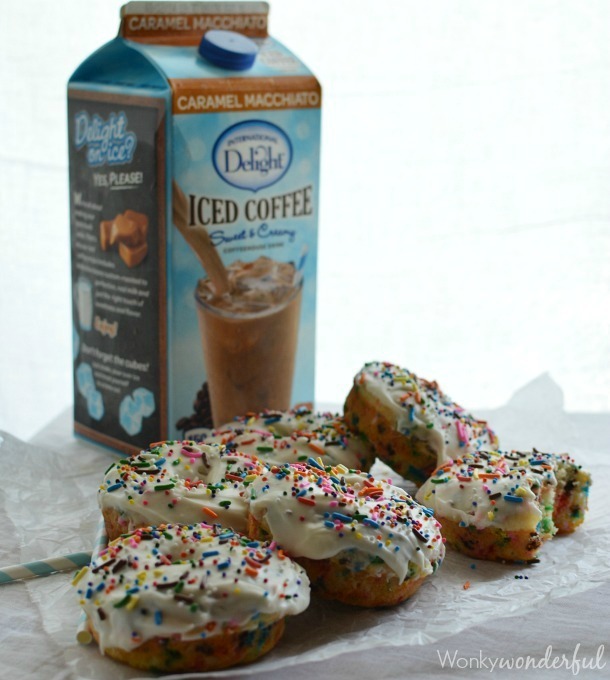 International Delight Iced Coffee is not only convenient, it is a wonderful way to enjoy coffee on a hot summer day. Right now you can enter the International Delight Iced Coffee Tumbler Sweepstakes. Enter daily through the International Delight Facebook Page through the end of August. 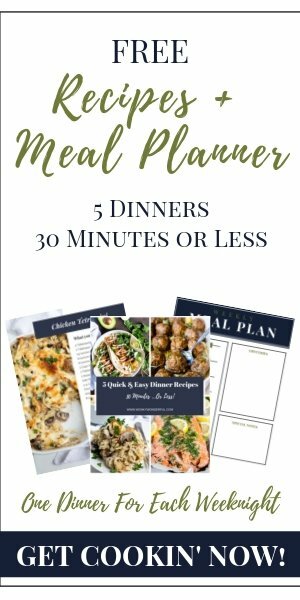 They are giving away 100 tumblers each week! Then you could enjoy your Iced Coffee on the go! 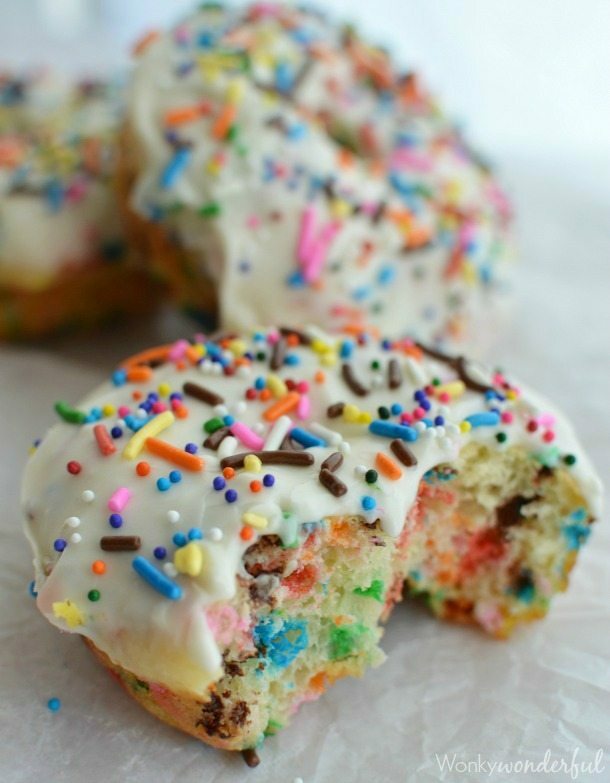 And with these Funfetti Donuts. Do you have a donut pan yet? Get one immediately. 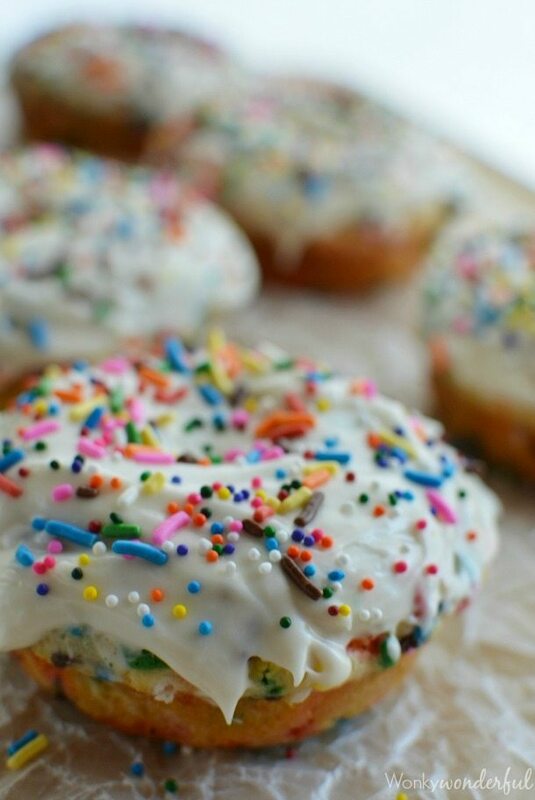 Just so you can make these Funfetti Baked Donuts! Do It! 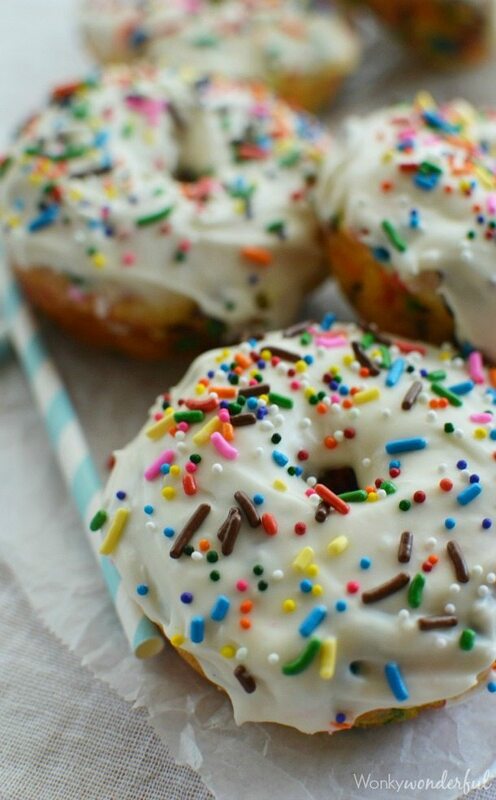 I really loaded these donuts with sprinkles. Seriously. S.P.R.I.N.K.L.E.S. Using a hand mixer - combine the sugar, egg, Greek yogurt, milk and vanilla. Gently fold in the sprinkles. In a medium bowl, mix the powdered sugar and heavy cream. 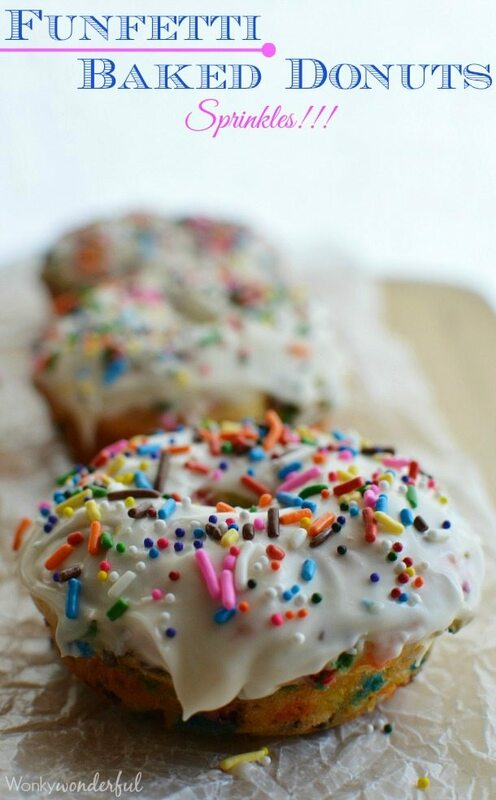 Dip the donuts into the glaze then immediately top with rainbow sprinkles and nonpareils.